You can already find some of our Ni-MH rechargeables in new, revised packages. New blister card is prepared in accordance with the existing design from everActive CAMPRO series. 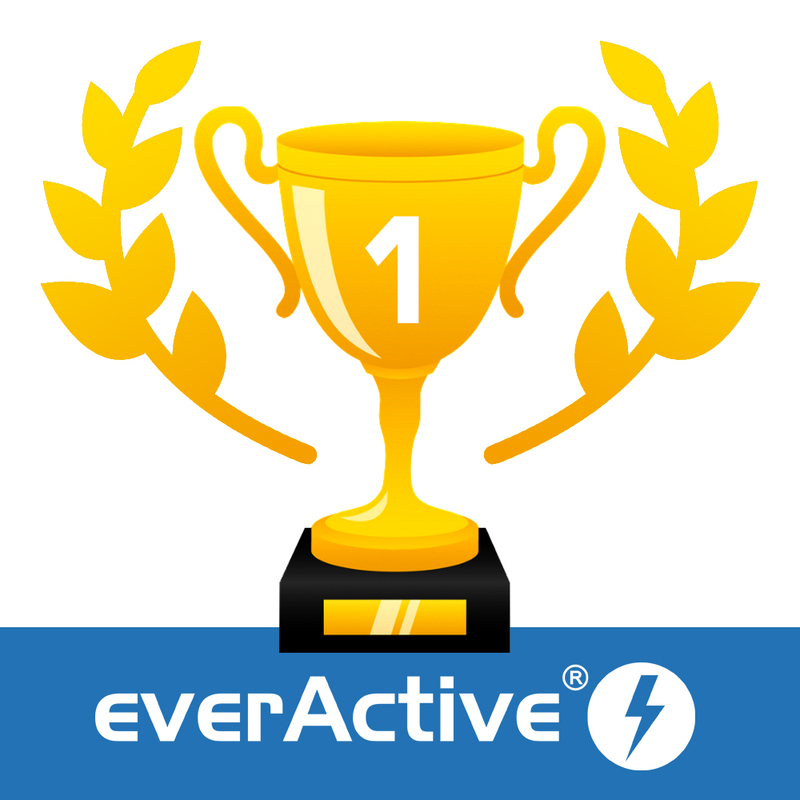 New and versatile everActive charger hits the shelves. 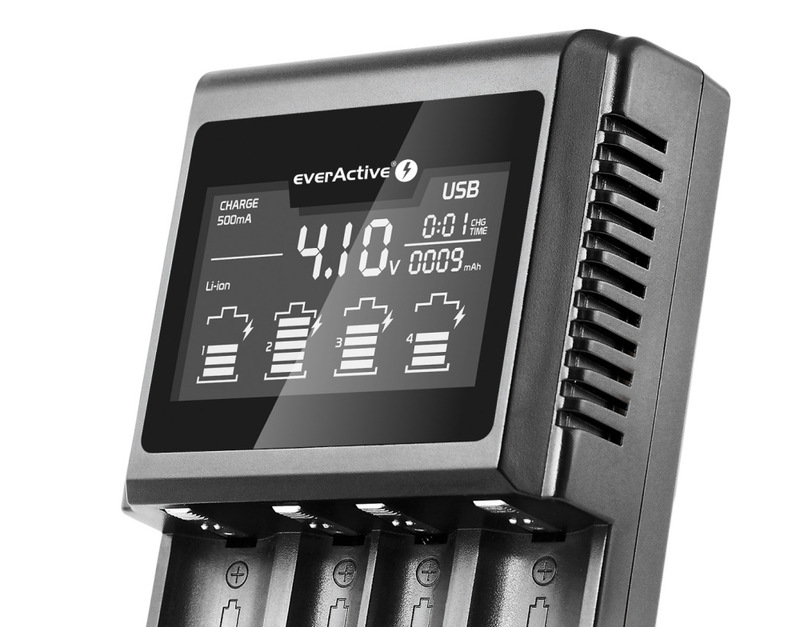 UC-4000 is a completely new proposal from everActive - this charger can handle not only popular Ni-MH cells but also Li-Ion (including 18650) and LiFePO4 (including CR123). - precise charging algorithms suited perfectly for each cell's chemistry. 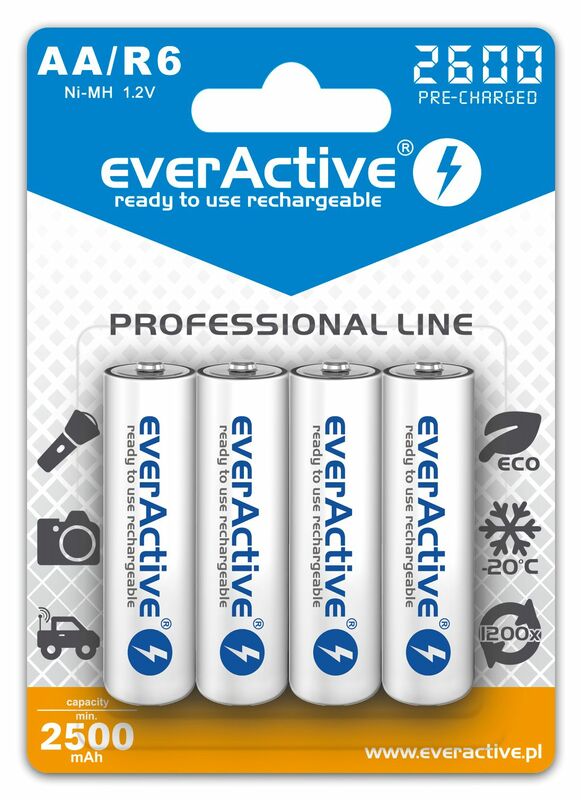 everActive R03 AAA rechargeable batteries - best in test by PCWorld Magazine! In last edition of PCWorld magazine (06/2018 - Polish branch) you can find professional battery test. What is the best rechargeable AAA battery available on Polish market? 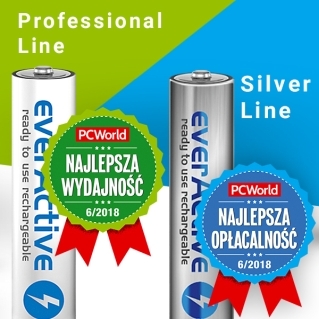 Our batteries have proven their highest quality and got prestigious awards. Our alkaline batteries have been available on the market for several years now. 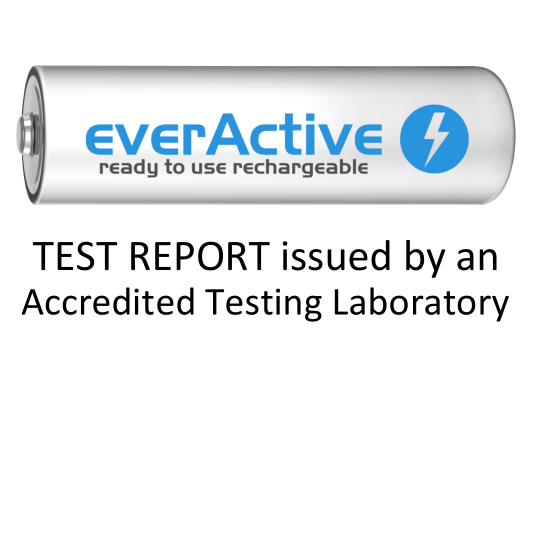 The declaration of high quality of everActive Pro Alkaline battery is being verified on a regular basis - are they really that good? Over the past few months there have been three interesting, independent performance tests involving everActive alkaline batteries.